The Flash 4x04 Review - Thank You, Flash TV. You Got It Right! The Flash 4×04 Review – Thank You, Flash TV. You Got It Right! 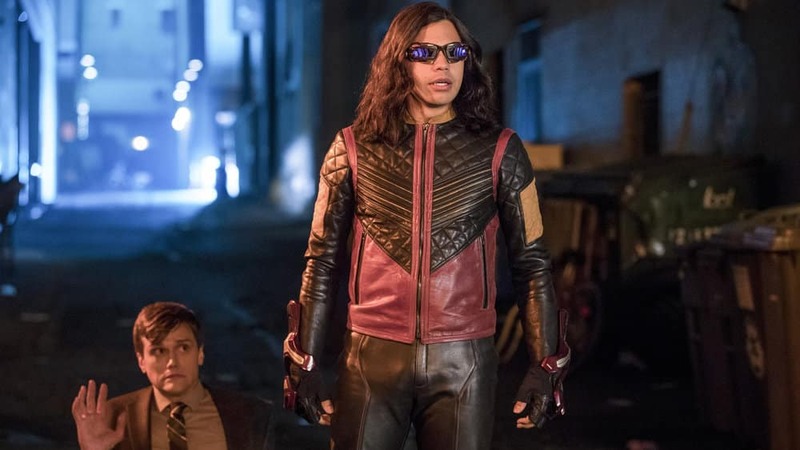 There’s been much talk already about how this latest season of The Flash, just a few episodes in, is already feeling like an entirely new show. Yes, the show has always had a steady fan base, but even many of the show’s most devoted followers have increasingly felt let down by each season’s countless plot holes and poor characterization. Now, with some new writers on the team and a lighter touch to the scripts, the show is trying to win back lost viewers and deliver on what the show should have been since day one. Based on the rumours, I was curious about this new season and decided to give it a whirl, in spite of all the disappointment I’d felt over previous seasons… and I’m glad I did. The first episode of season four of The Flash was already an improvement, by giving the whole of Team Flash a role to play. The second episode paid homage to classic Silver Age moments and showed Barry Allen doing some police work for a change. The third followed that trend, with a light-hearted story featuring a more whimsical and sympathetic villain. That episode also featured possibly the finest Wally West moment in the whole series, as he quit Team Flash after exposing their lack of focus on including him in the group. The fourth episode, at least for me, that was the one they had to get 100% right though. It was a make-or-break episode. That’s because the fourth episode featured Ralph D, bney – better known to veteran comic book readers as the Elongated Man. In the comics he’s an award-winning character who’s been around since the Silver Age, and has served in several incarnations of the Justice League. His detective skills are on par with Batman, his playful nature is always welcome, and he’s one of the most overlooked cornerstones of the DCU. He’s also one of my favourite characters. That’s why they had to get him, and by extension the episode, right. And they did. Thank you, Flash TV. The episode focused on a rather simple story this week, as Barry and Joe track down a lead on another of the dark matter-mutated people living in Central City. It leads them to goofy private detective and former crooked cop Ralph Dibney, who Barry has an unpleasant history with. Ralph’s mutation – his body being turned in to silly-putty- is harmless but Barry instantly labels him as a villain anyway. Ralph’s behavior may be objectional, but for all his faults he isn’t the bad guy of the piece, and he’s really the key to exposing a real villain who doesn’t have superpowers at all. 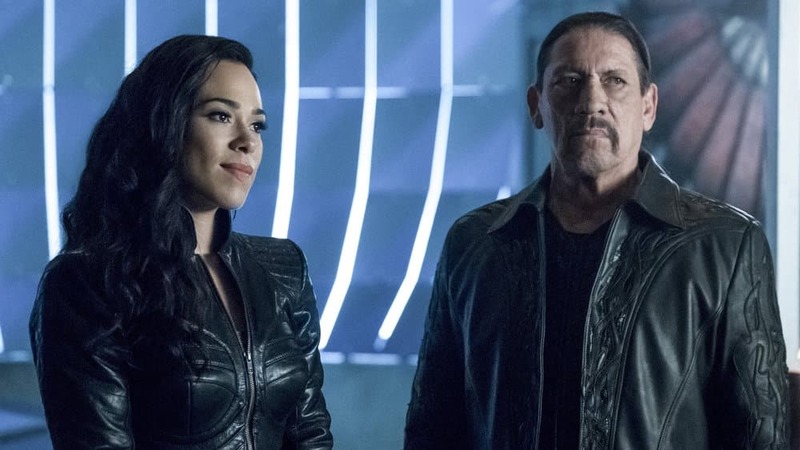 The B-story of Cisco meeting Gypsy’s father – the intimidating Danny Trejo – isn’t integral to main story but it’s amusing and allows for some real character-building to drive home the importance of Cisco’s love-life right now. Where this episode gets things right are all the small touches which are included, including covering some of the bigger plot-hole problems from previous years. 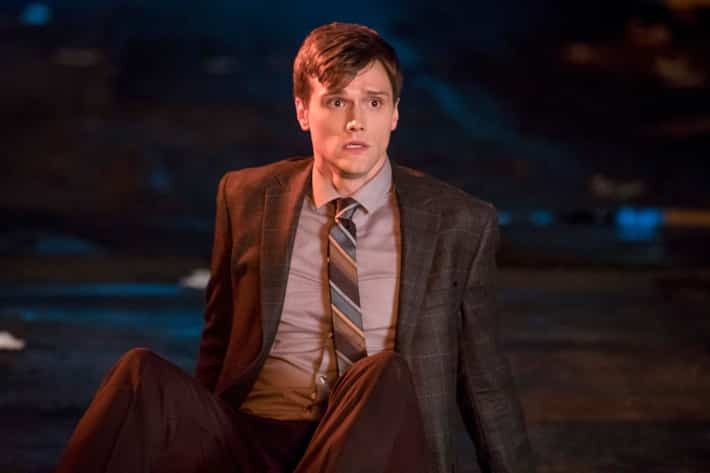 There’s a reference to coffee not existing on Gypsy’s Earth; Mayor Bellows refers to his time as a former cop; Barry and Joe have a real conversation about his illegal treatment of other metahumans, and his questionable actions since the first season; Caitlin makes an impassioned speech in defence of fellow metahumans who are automatically viewed as villains; Ralph despises the name Plastic Man, a character he’s long had problems with in the comic books. Hell, they even had Ralph do his trademark nose-wiggle as he learns that a mystery needs to be solved. That’s classic Ralph Dibney. It may not have been a perfect episode… after all, back in season 1 they said that Ralph Dibney had died and nobody made any mention of that here (although Barry’s made so many subsequent alterations to the timeline that who’s even keeping tabs of all the changes these days?). However, this episode was certainly entertaining in lots of ways. It got the basics right with the characters, and when a show does that it’s got a solid foundation and that’s what raised this episode to a new level for the entire series. To do that and still also cover the flaws of previous seasons, finally responding to the complaints of its critics and apologizing for its mistakes… that was something even more special. So again, thank you Flash TV. You presented two of my favourite superheroes on screen and you got it right. Based on that, you’ve just won back a hard-to-please regular viewer, and I’m willing to give The Flash another chance.